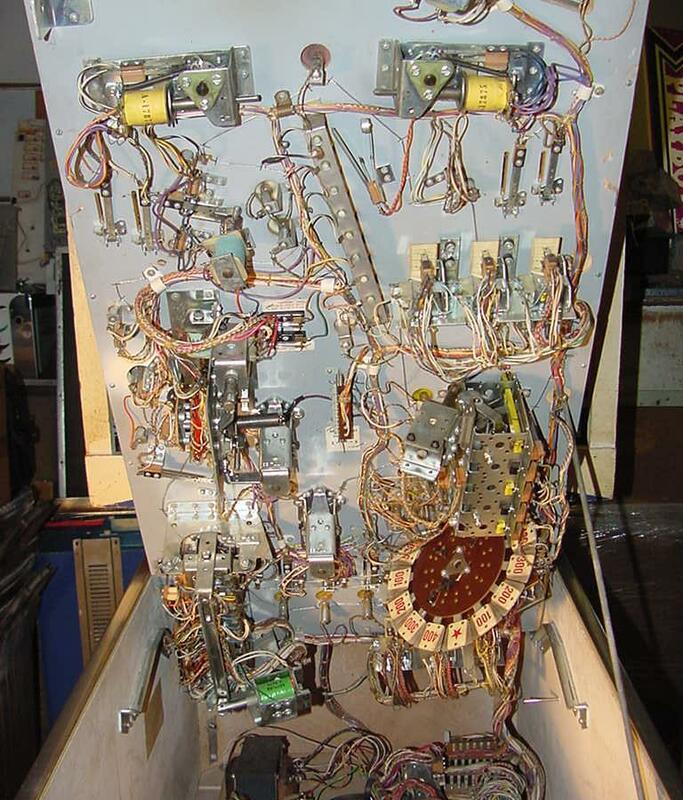 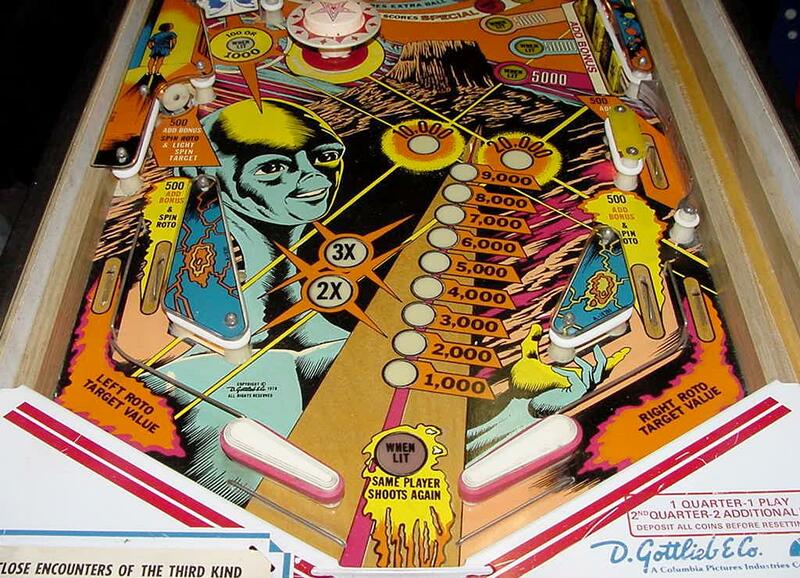 Description: Gottlieb Close Encounters of the Third Kind pinball. 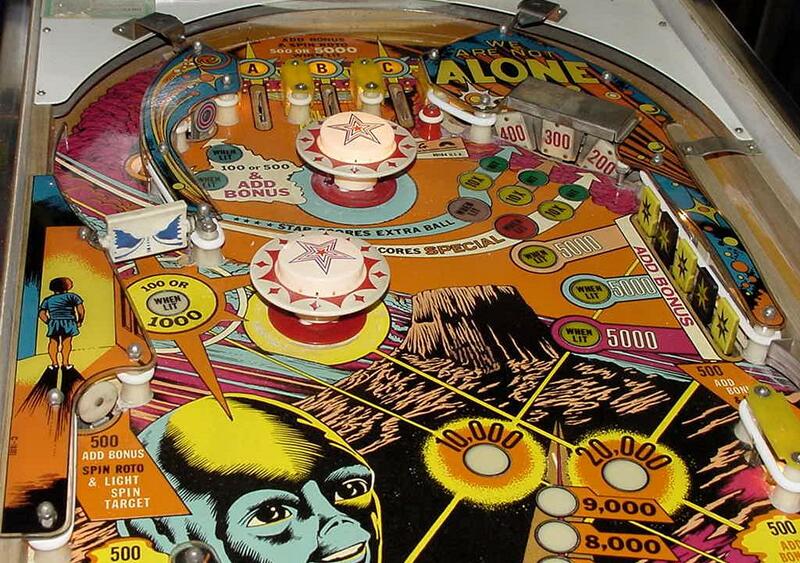 They made 470 Gottlieb EM Close Encounters pinballs and 9950 solidstate versions. 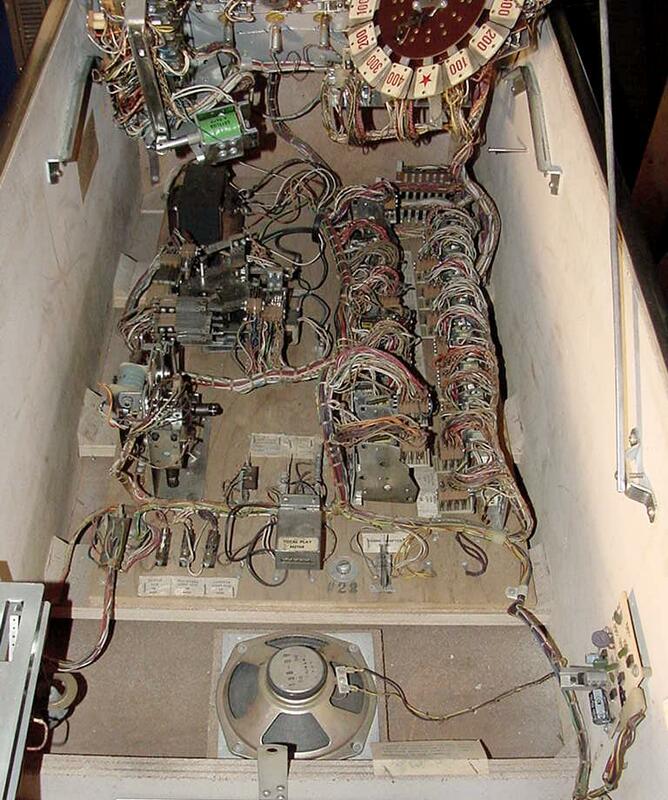 Close Encounters was made in both EM and SS (solidstate) versions. 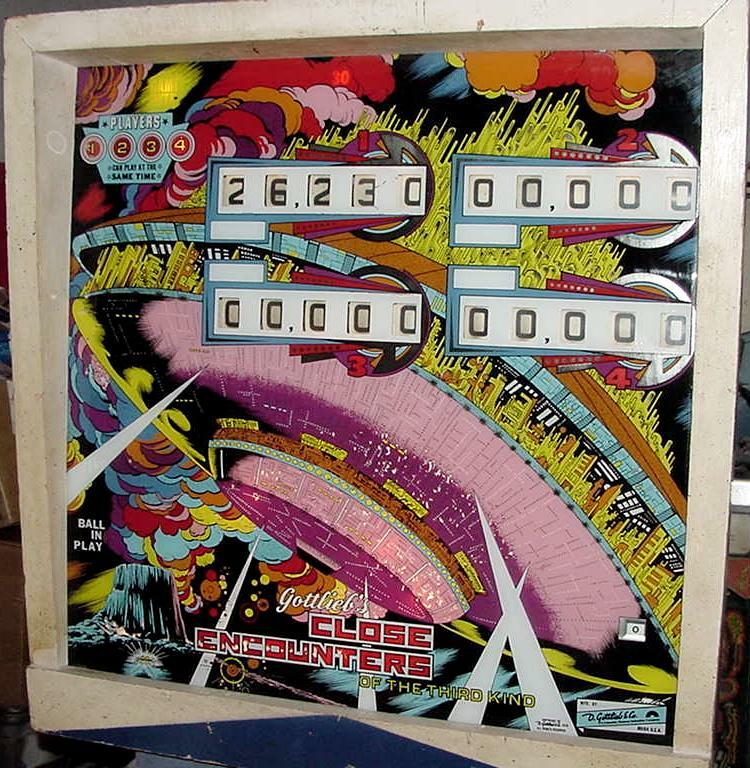 Roto-target, bank of 5 drop targets, two pop bumpers, one slingshot, one spinner, two 3" flippers. 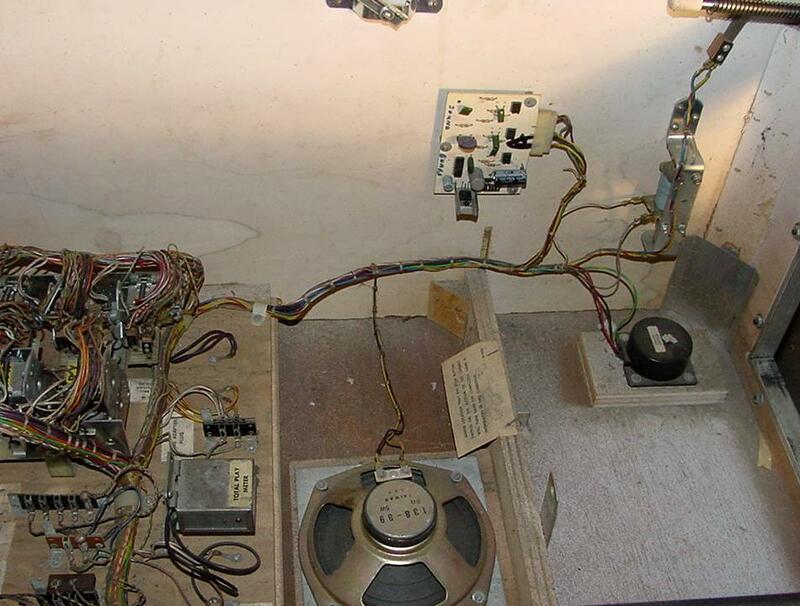 Interestingly the EM version uses an electronic sound board instead of a chime unit (though there is a plug to use chimes instead). 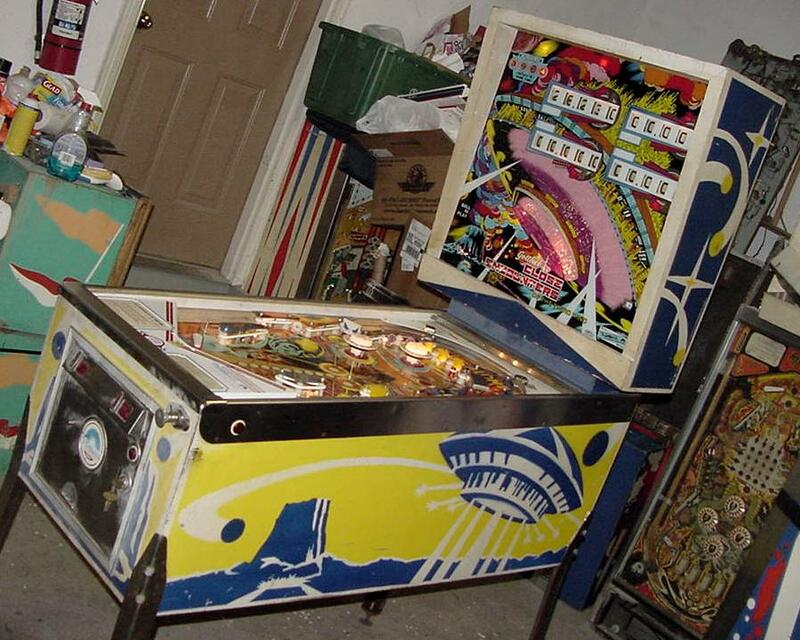 Backbox is really tall and big, larger than maybe any other Gottlieb EM pinball. 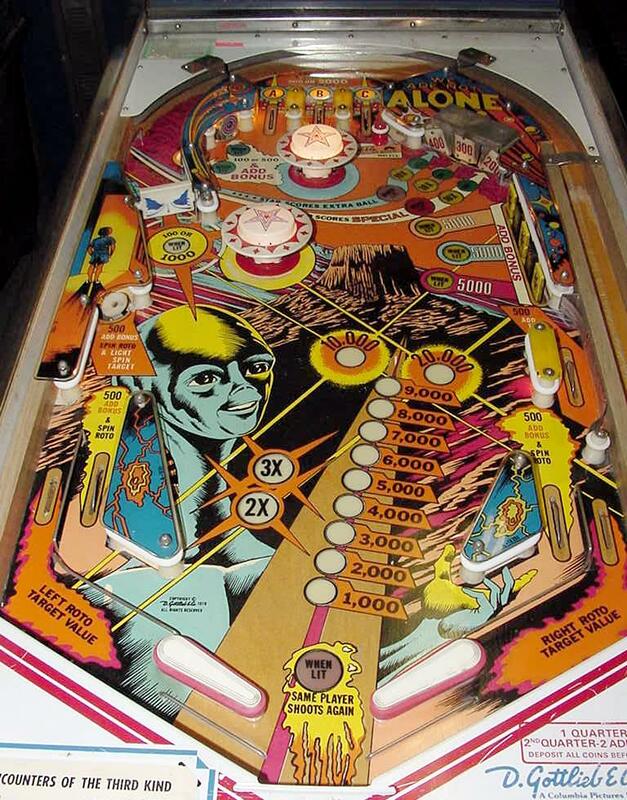 Personally I like the EM pinball version, but the SS version does have slightly different rules and bonus scoring that goes up to 5x (where the EM version only goes to 3x).